18" x 14" x 6 1/2". Made of durable, water-resistant polyester. 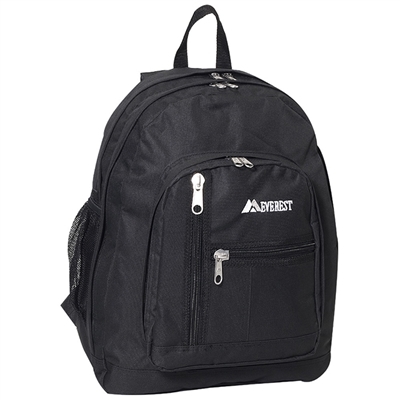 Features multiple front zippered pockets, a side mesh pocket, and padded shoulder straps. Dual main compartments. Color: Black. 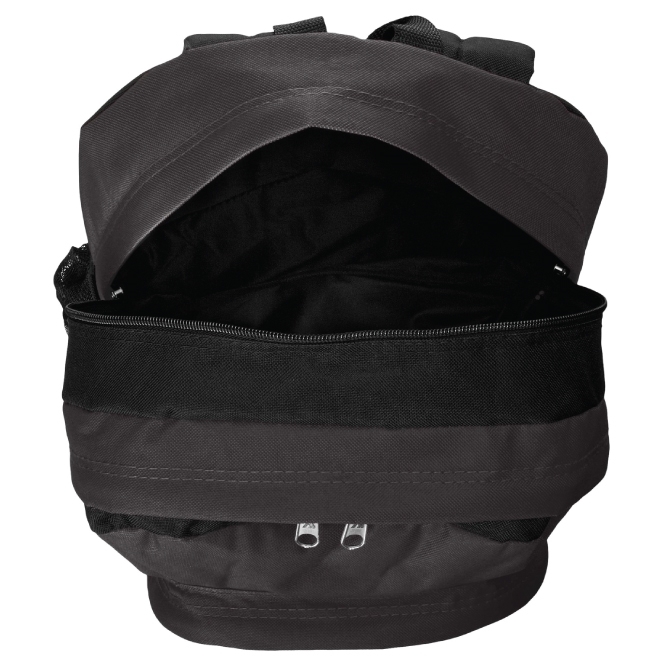 Mega Duffel Bag - 30" L Round Duffel Bag - 30" x 14" x 14" Duffel Bag with Wheels - 22" L Round Duffel Bag - 20" x 11" x 11"